When Google announced the fingerprint gestures for Pixel phones on launch, Nexus 5X and Nexus 6P owners felt left out. They were eagerly looking forward to have this cool way to access content and it is going to arrive with the Android 7.1.2. Nougat update. The team at Google is currently working on a maintenance upgrade for Nougat. The new one is to be rolled out on Pixel phones as well as older Nexus devices. When Nexus 5X owners had the opportunity to download the latest update, they were pleasantly surprised to find that it had the fingerprint gestures incorporated in it. In Google’s blog, the update is an incremental maintenance that brings polishing and refinement to the Nougat operating system. Nexus 5 owners had the opportunity to check the update before Nexus 6P users. They were pleasantly surprised to see that the settings had an option named “moves”. The feature is what they have been asking for a long time and when it’s available on an older phone, it’s no wonder Google will bring it to the newer Nexus phone as well. 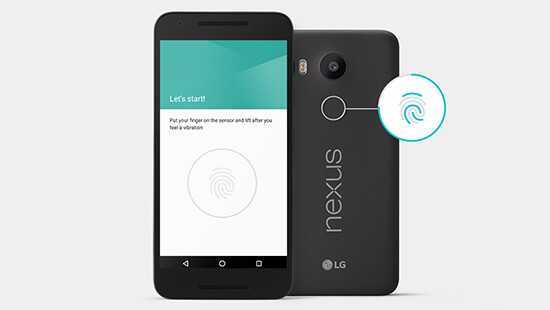 By using Moves, one can make use of the fingerprint scanner in different ways. There are four different options available according to the screenshot posted by a user. By swiping on the sensor, it is possible to check the notifications in the smartphone screen. When you swipe in the back, it will pop up the display. When you double tap on the power button, it will open the camera instantly. 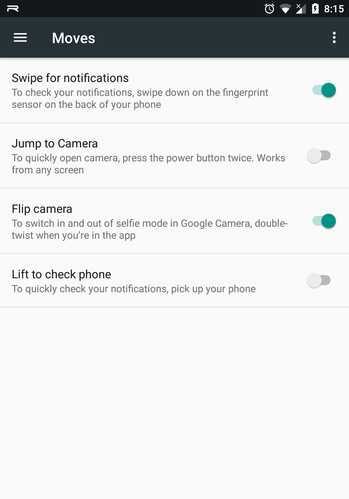 The Selfie mode can be activated when using Google Camera by double twisting while the app is open. The information was first spotted and posted by a person named Spannerphantom on the Reddit website. While there are only four moves in total, the true potential of the fingerprint sensor and the home buttons are being utilized by different manufacturers. It makes it easier for the user to access different phone functionalities without having to open up the screen manually. While Google has not announced the possibility of rolling out Moves features to Nexus 6P phones, they did confirm that Android 7.1.2 Nougat is coming to the phone and with it, there should be the simple yet useful features that you like to have on your phone. Android Nougat is still being rolled out in phases with Samsung and Motorola phones getting them recently. More phones will be updated in the following months.